You know what they say—breaking up is hard to do, especially if you really love someone. 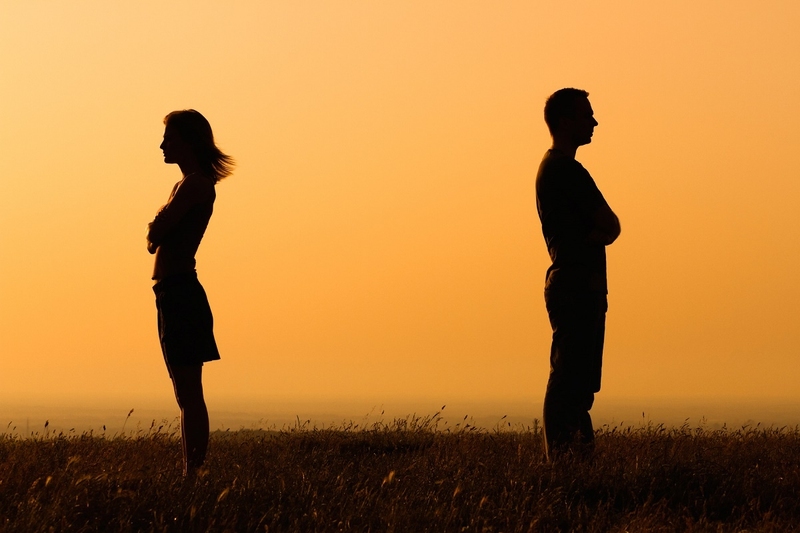 Breakups can be painful and you don’t want to cause more heartache and distress. So you should treat your break up as you would treat the beginning of a relationship, with gentle dignity and respect. It’s not easy to tell how the other person will react, but being tactful will at least show that you care to end the relationship on as good a note as possible. Don’t beat around the bush by starting out with “we need to talk,” and then going through all the reasons why the relationship isn’t working out. Instead, get straight to the point by saying “I think it’s time for us to go our separate ways,” and then open the conversation to discuss why the relationship is over. Many people seem to think that telling small lies will protect the other person’s feelings, but this couldn’t be further from the truth. If you respect your partner, you will be completely honest with him about why you’re breaking up with him. And remember, being honest doesn’t equate to being mean, so think about how you will tell your guy the truth. While saying “It’s not you, it’s me.” can feel like an easy cop out, it’s still easier on the other person than saying “You did this.” and “You did that.” and “You always [whatever]…” Saying “you” all the time is extremely accusatory, and it may do more damage than you think. After all, it took two to make the relationship work, and two to make the relationship fail. Don’t let your breakup turn into a screaming match. It’s not always about what you say, but about how you say it. Use kind words and avoid jumping on the defense. You can still be kind in your breakup while being firm. Your guy is more likely to understand you if you’re nice about the breakup. Although there is never actually a good time to have the conversation of breaking up, you can choose to do it at a time when stress levels are low. If your man had a terrible day at work, breaking up with him will really make his day go from bad to worse. Make your guy understand why you’re breaking up with him by being specific about things that have led you to this point. If you’re not sure what to say when breaking up with a guy, consider detailed examples of his behavior, or incidents which have made it clear to you that the relationship is not going to work. Never say “always” or "never". Avoid saying things like “You’re always late for everything.” and “You never do romantic things for me.” These absolute statements are never actually 100% correct anyway. Using words like these may seem to make your argument stronger, but actually they will make you look terribly wrong, thereby weakening your stance. You must prepare yourself for the possibility of a negative reaction from the guy you’re breaking up with, and you should still treat him with decency and respect. The feelings you may see him go through are similar to the feelings of grief, like shock, disbelief, silence, anger, and deep sadness. Don’t give in to the prospect of a new fight. Unless it’s a long-distance relationship, there’s no good reason to not break up in person. Breaking up over the phone, or even worse, via text or email is rude and disrespectful. Even if you don’t know what to say when breaking up with a guy, doing it in person will show your guy that you respect him at least a little bit. Don’t let the conversation drag on for too long, and don’t get caught up in silly arguments, since they’re pointless anyway. Once you’ve gotten your point across and he understands that the relationship is over, it’s time to part ways. If you’ve been talking for more than a half hour, it’s time to just say goodbye and move on.